Everyone knows the value of in-car dash cameras: capturing the story of how an everyday traffic stop turned into a police officer’s fight for survival. But so often we only see half the picture. Which way did the suspect run? What was going on in the back of the vehicle? When did the trooper draw his weapon? 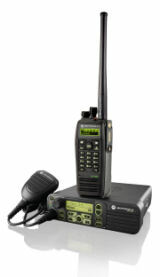 That’s why Motorola Solutions has introduced the Sr600. This innovative in-car video camera has a full 360-degree view to capture the whole situation: From the road ahead to the car’s back seat, and everywhere in between. It’s a complete solution, combining a single-lens wide view camera with dual microphones, remote triggering, built-in storage and a secure Wi-Fi upload capability. And with only a single-wire installation, it’s simple and economical to equip all your vehicles with 360-degree video coverage. Built around a core of CJIS-compliant security, the Sr600 captures evidence-quality video and audio recordings. Video evidence is securely uploaded to CommandCentral Vault over secure Wi-Fi, where it can be stored and managed together with all your body camera evidence. If you want the big picture, you need the Sr600.